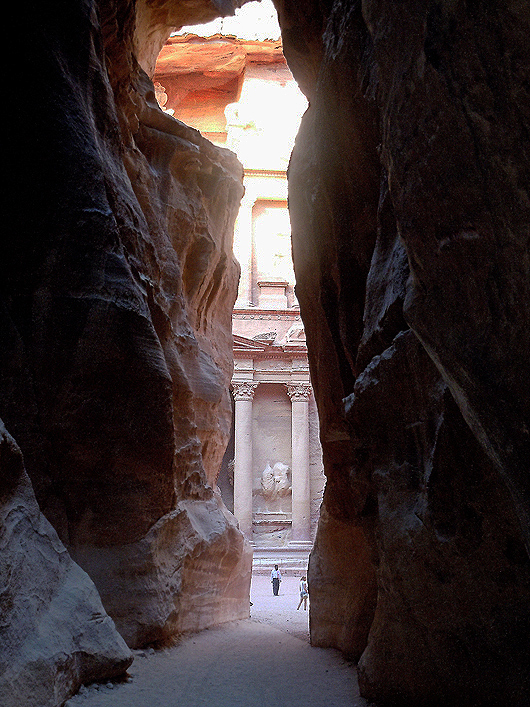 The first glimpse of the Al Khazneh (Treasury) through the Siq at Petra is a breathtaking moment! The feeling is just so impossible to capture in a camera or in words! All those images we had seen earlier did not come close to preparing us for the drama of this moment! We just stopped in our tracks and stared in awe! Do check out my post, that is a literal interpretation of ‘Through’ here! And all the other great entries here.